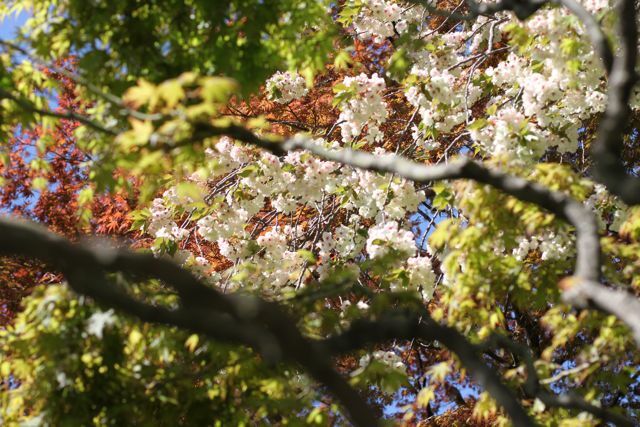 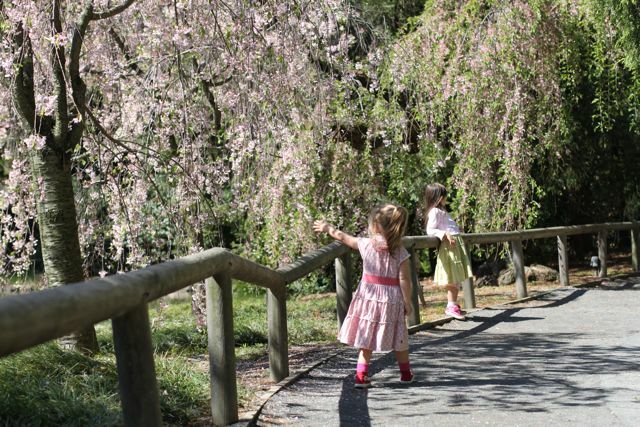 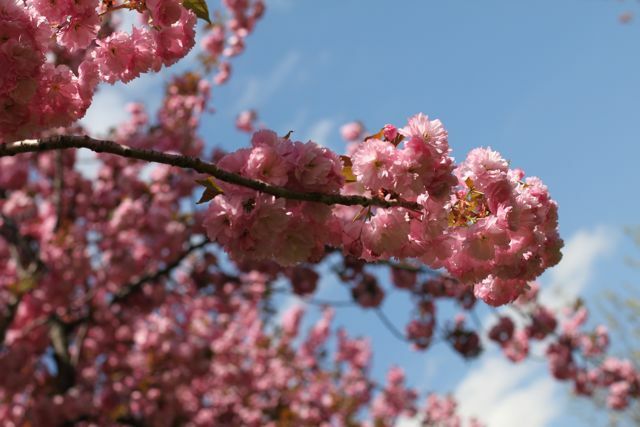 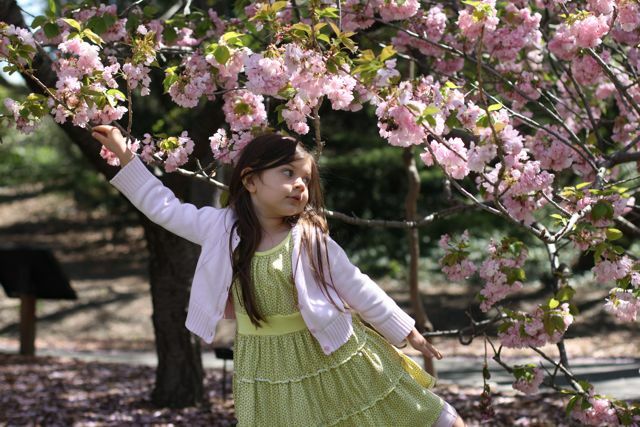 We made our way to the BBG to enjoy Hanami – Hanami at BBG is a month-long event from April 2 to May 1 that celebrates the Japanese cultural tradition of enjoying each moment of the cherry blossom season. 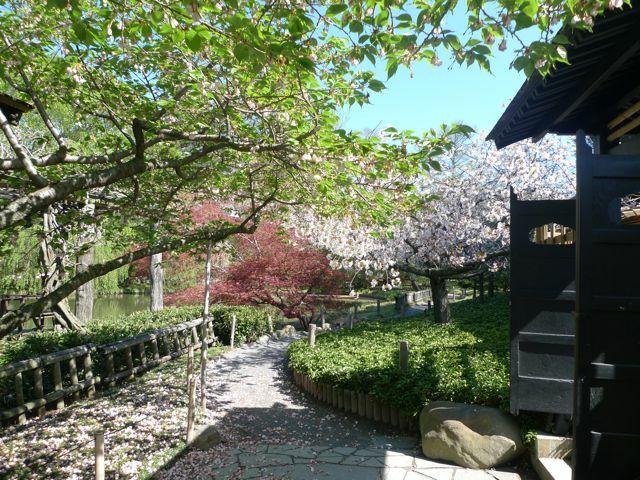 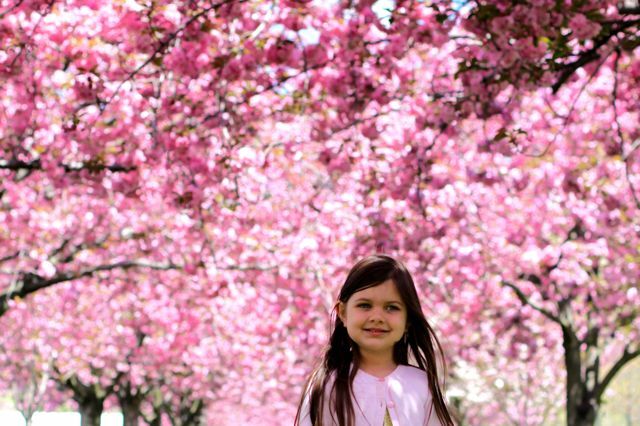 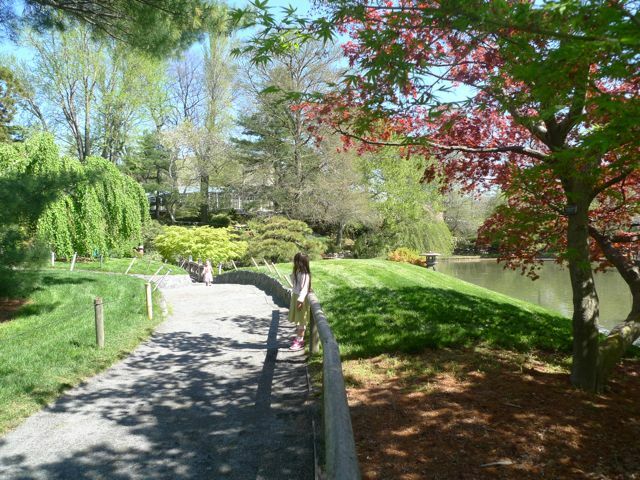 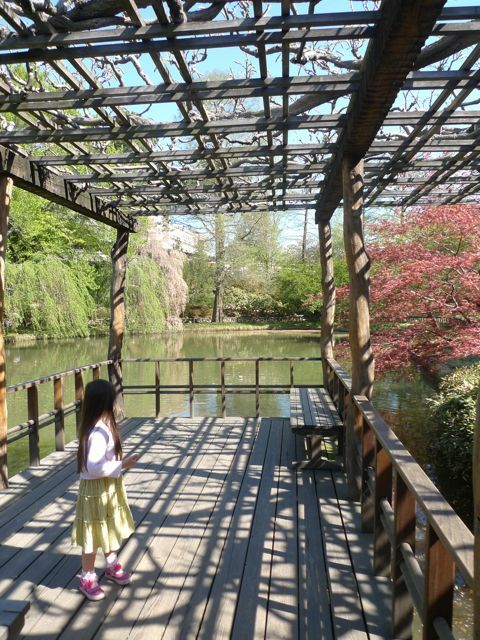 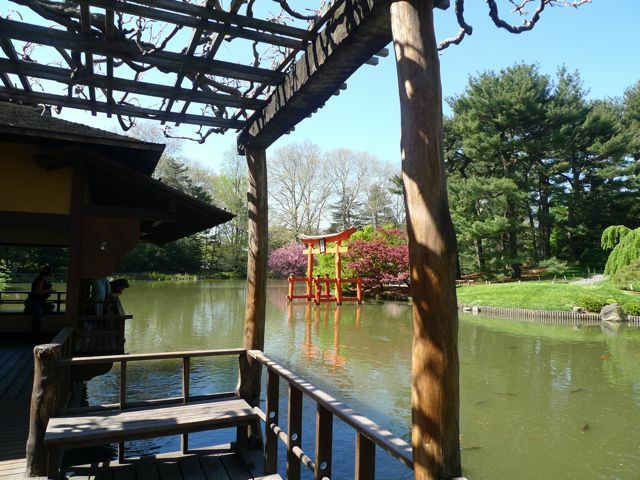 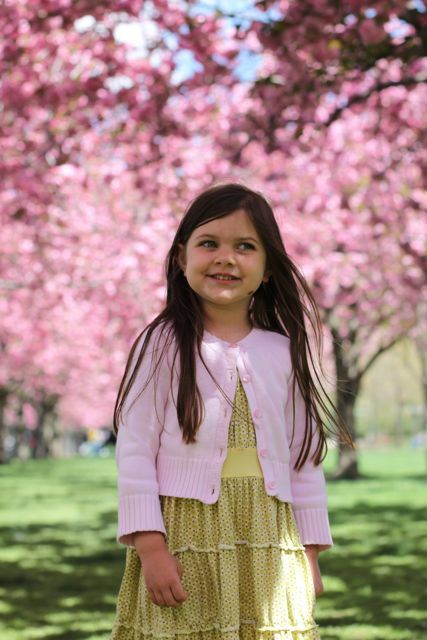 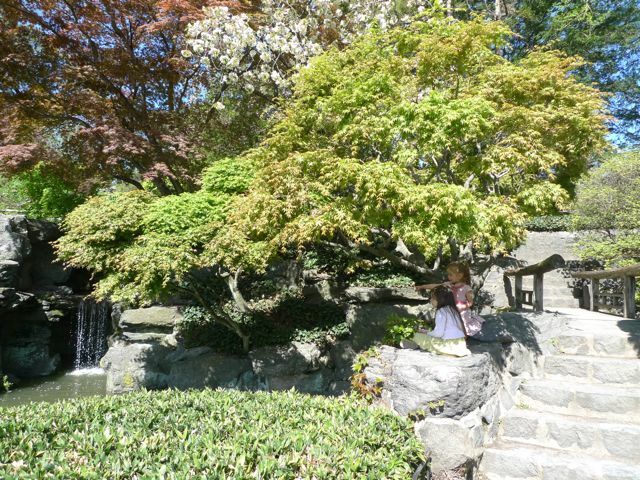 This weekend the Brooklyn Botanic Gardens hold an annual blossom festival – Sakura Matsuri, celebrating the blooming of the cherry blossoms at their peak – we did not go to the festival, but We were able to enjoy full blossoms. 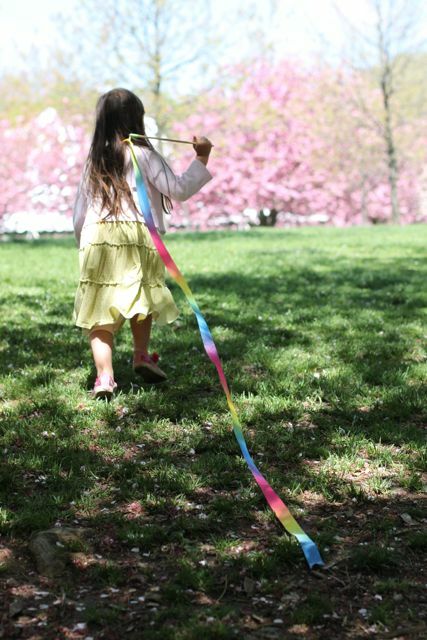 I would love to go to the festival one of these days, but while the Girls are pre-school age, I know there are limits to the crowds and lines they can enjoy. 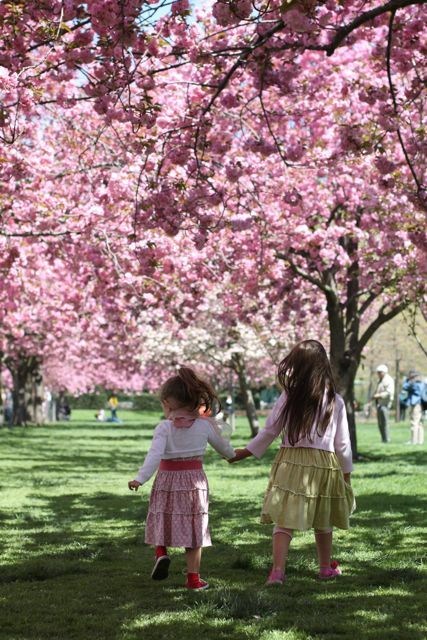 Maya and I have decided that we will go one year, and have researched joining the Brooklyn Parasol Society so we can have tea with parasols under the cherry blossoms – doesn’t that sound like fun! 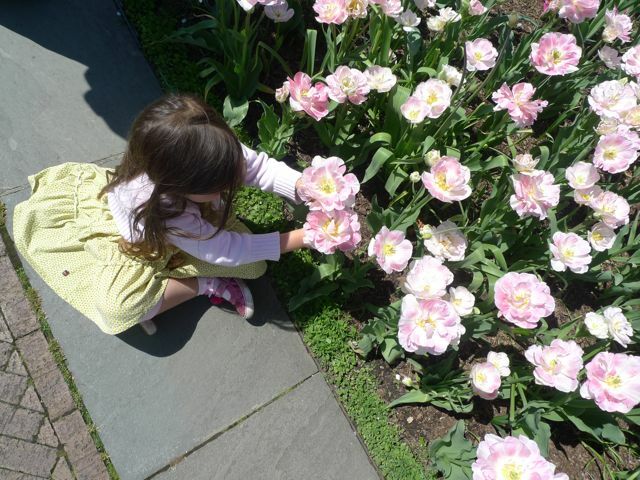 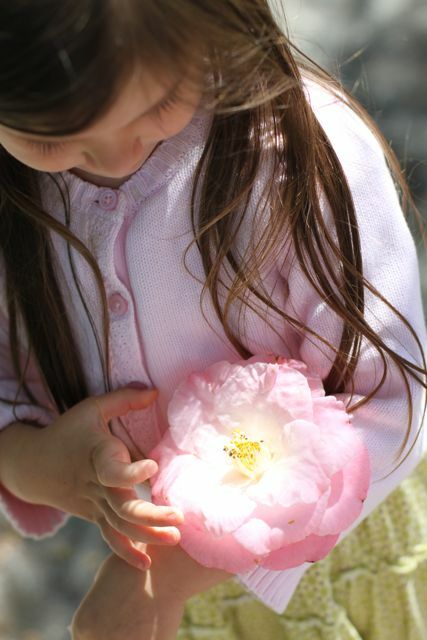 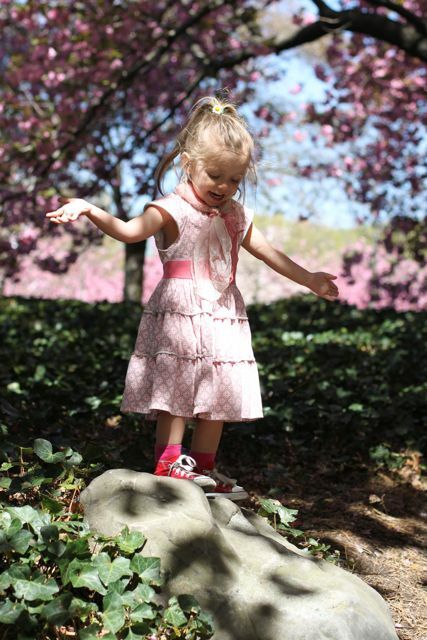 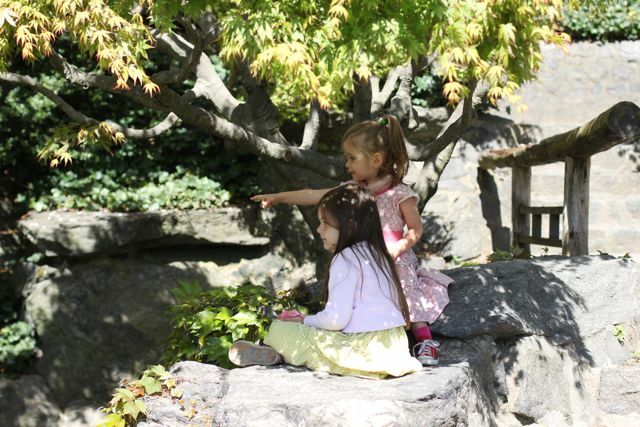 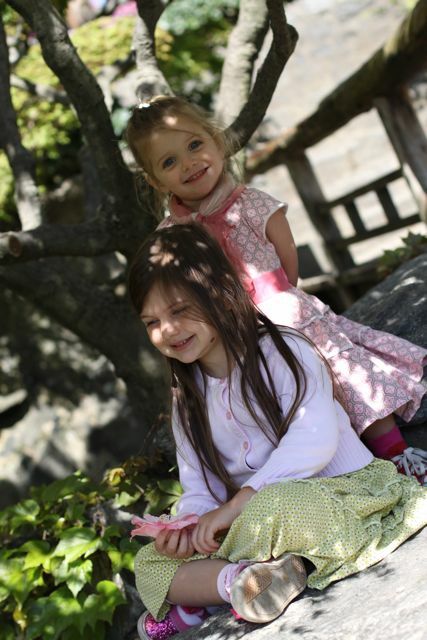 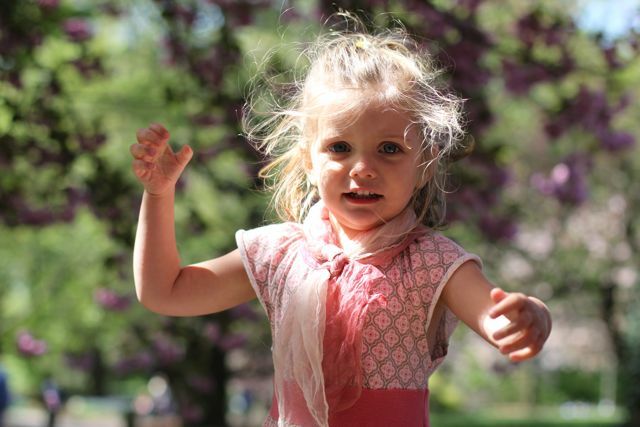 The Girls love to run through the gardens exploring, picking up fallen flowers, and looking for treasures. 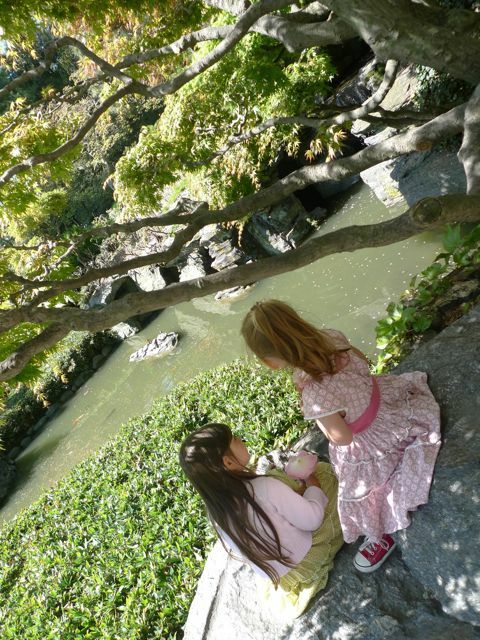 A group of turtles sunning themselves on a rock were of particular interest, keeping the Girls captivated for the longest time. 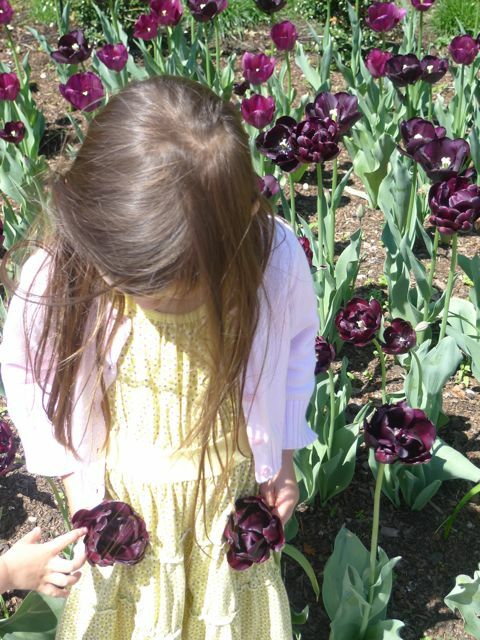 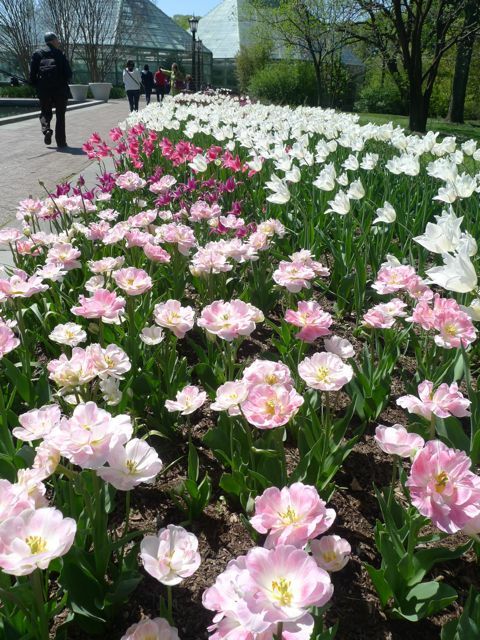 They also found great joy in the vibrant rows of tulips, be sure you could hear me saying “Do not pick the tulips Girls!”. 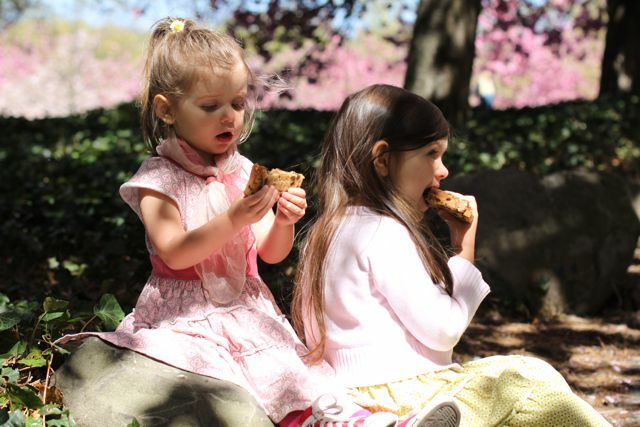 As usual when heading to the BBG, we packed a picnic lunch, found a shady spot and enjoyed lunch. 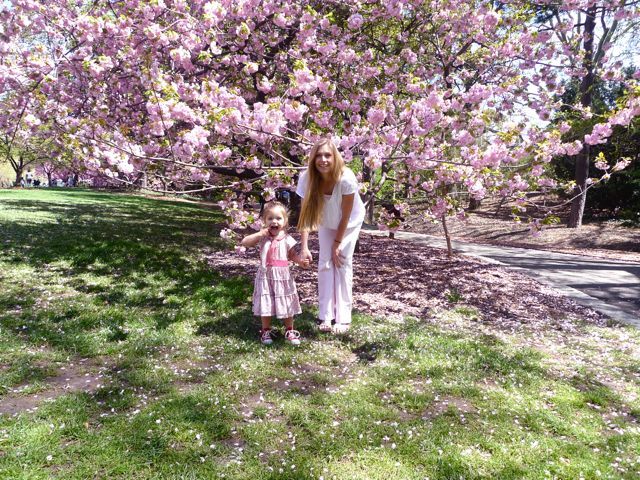 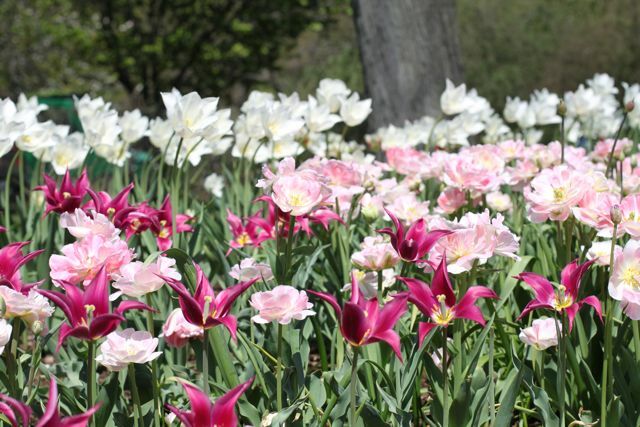 Such a romantic day in the gardens – even if only with my daughters, the fluffy canopy of pink has me swooning over spring! 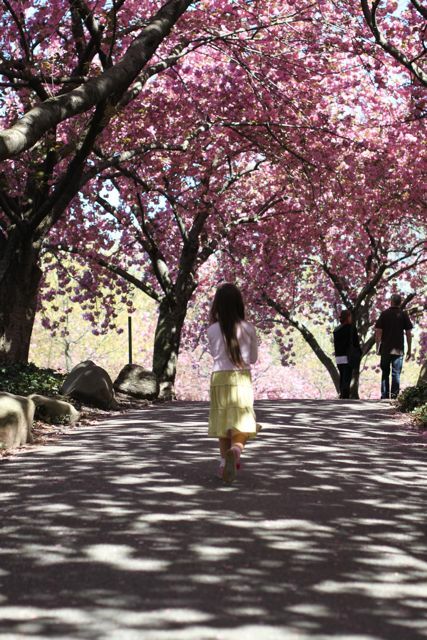 This entry was posted in V I S I T and tagged brooklyn, brooklyn botanic garden, flowers, spring. 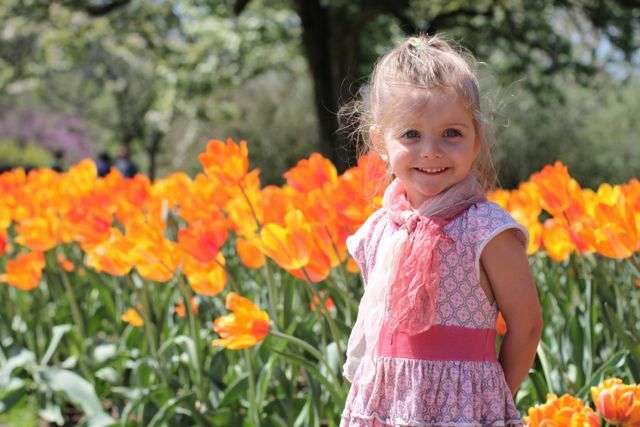 My favourite photo in this post is the one of Elle in front of the yellow and orange flowers … her smile is so cheeky!